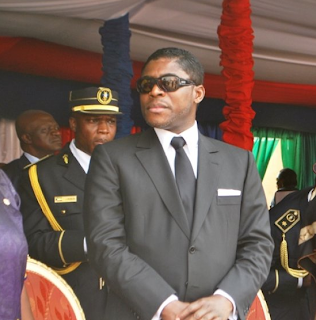 U.N. is “impotent observer” while great powers act, says Equatorial Guinea’ President. African leader condemns terrorism and highlights advances in his country. President Obiang Nguema Mbasogo called yesterday for reform of the United Nations to create a more democratic and representative body. Peace and security, therefore, are essential for development, he said, and have been major factors in building economic progress in his country. “Currently the country is putting in place important political reforms in consensus with all the political institutions,” he said. Constancia Mangue Nsue de Obiang, First Lady of the Republic of Equatorial Guinea, and the First Vice President for Presidential Affairs, Ignacio Milam Tang, inaugurated the new headquarters of the Committee for the Support of the Equatoguinean Child (CANIGE) in Malabo II last week. CANIGE is an important institution in the country’s efforts to improve child development and education resources for its citizens. CANIGE was established in 1984 at the beginning of the country’s efforts to fight marginalization and change attitudes toward women in Equatorial Guinea society. The First Lady has been one of CANIGE’s strongest supporters for nearly 30 years. “I would like to highlight that our fight against marginalization was the inspiration behind the establishment of a non-governmental organization called CANIGE, Committee for the Support of the Equatoguinean Child,” the First Lady said during a recent award ceremony held by the Voice of African Mothers. The First Lady has long championed efforts to promote social development, improve the status of women, and provide resources for children, at home and throughout the Africa continent. She said that she hopes the new CANIGE building will become a center for developing programs to improve the quality of life for all Equatoguineans. Equatorial Guinea’s Ministry of Health and Social Security recently presented a design for a malaria vaccine trial as part of the government’s efforts to improve the country’s public health. The West African Nation is the second country in Africa, after Tanzania, to sponsor a malaria vaccine clinical trial. Equatorial Guinea’s Ministry of Health and Social Security and the Ministry of Mines, Industry and Energy partnered with Sanaria, a U.S. biotechnology company that produces a vaccine based on an approach to immunization that has already proven highly protective in humans, and the Ifakara Health Institute (IHI), Tanzania’s health research organization. This first clinical trial will evaluate both the safety and efficacy of the vaccine. During the clinical trial’s presentation, Minister of Health and Social Security, Diosdado Vicente Nsue Milang, expressed the government’s support and appreciation of the parties involved. Dr. Pither, Sanaria representative, and Salim Abdulla, Ifakara representative, explained how the malaria vaccine works and how it is developed. The trial admission is scheduled for the first quarter of 2014. Sanaria and the IHI expect that the clinical trials in Equatorial Guinea will show that the vaccine is safe and effective, and that it can provide protection to African populations where the disease is endemic. The ultimate goal is to develop a vaccine that can be part of large campaigns aimed at eliminating the disease. The clinical trials in Equatorial Guinea could help achieve this goal and significantly advance the global fight against malaria. Equatorial Guinea’s Ethics Review Committee is overseeing the protocol to ensure that the clinical trial follows Equatorial Guinea’s standards. After these reviews and the approval of the protocol, the committee members will participate in the African Forum on the Regulation of Vaccines to present the results to the other sixteen countries represented in this forum, which will review the protocol with Equatorial Guinea on October 15, 2014. Equatorial Guinea’s Ministries of Health and Social Welfare, and Mines, Industry and Energy are sponsoring this clinical trial, along with Marathon Oil, Noble Energy, EGLNG and AMPCO. The director of the National Program for the Fight Against Malaria, Matilde Roca, and representatives of various international organizations such as the World Health Organization (WHO), the Cuban Office of International Cooperation, and Marathon Oil, among others. The government's national malaria program includes free treatment for patients who test positive for malaria infection, with special attention paid to pregnant women, who face higher risk. 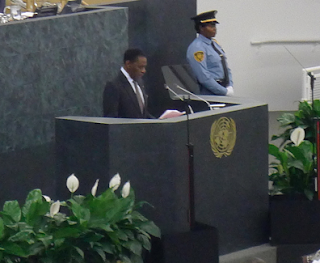 President Obiang Nguema Mbasogo has confirmed his support for shared responsibility and global solidarity in the fight against AIDS, tuberculosis and malaria at the session on Sustainable Solutions for the AIDS Response in Africa during the 67th United Nations General Assembly in 2012. “I can assure you that my country, Equatorial Guinea, is steadfast in its support for the statement made by the Heads of State and Government of the 29th African Union Ordinary Assembly Session in Addis Ababa in July 2012 in favor of a roadmap for shared responsibility and global solidarity in the fight against AIDS, tuberculosis and malaria,” he said. Roll Back Malaria has reported that Equatorial Guinea has decreased the prevalence of the malaria parasite in children by 57% in the last few years and has increased the number of bed nets and indoor spraying of insecticides from 4% to 95% of the country in that same period. Research carried out on the Island of Bioko by the government and Marathon Oil has shown reduced infant mortality in nearly one-third of the population. Another Roll Back Malaria report on Business Investing in Malaria Control: Economic Returns and a Healthy Workforce for Africa has shown how malaria control investment has significantly improved in Africa. “Companies in Equatorial Guinea, Ghana, Mozambique, and Zambia have worked to prevent malaria among their workers and workers' dependents and have seen an excellent return on investment, with significant reductions in malaria-related illnesses and deaths, worker absenteeism, and malaria related spending,” the report said. 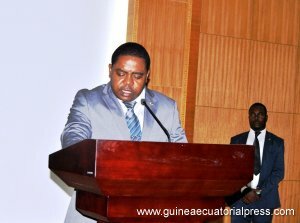 During the closing ceremony, Equatorial Guinea’s Prime Minister for Administrative Coordination, Vicente Ehate Tomi, stressed the need for African governments to support the African Royal Fund. He also called for African solidarity toward building their political and economic independence. The Malabo Declaration, which was read at the closing ceremony, supported the forum’s theme, “Traditional Cultural Values in Contemporary African Society.” The forum also dealt with the maintenance of institutions and cultural heritage, and the search for unity as a guarantee for a genuine union of the people. Equatorial Guinea’s development is based on the Horizon 2020 plan. The West African country is investing its oil resources to establish a diverse and independent economy and political system, and to prepare the country for the day when oil production declines. Coordination, Vicente Ehate Tomi, during his speech. The Business Management course was part of the human resources training program for public administration civil servants. It was funded by the Equatorial Guinean government and organized by the World Bank in collaboration with the European University of Madrid. Approximately 116 students took the course, which lasted three months. World Bank representative, Zouera Youssoufou, spoke of the course’s positive results and highlighted the importance of an improved educational system in Equatorial Guinea. The government of Equatorial Guinea has partnered with Marathon Oil Corporation to renovate the infrastructure of the Hospital of Malabo, including installing new air conditioning units, doors and windows and renovating the electrical installation. Marathon Oil Corporation also presented a community health project last month to refurbish the Hospital of Malabo’s emergency room. The project was approved by the Ministry of Mines, Industry and Energy in collaboration with the Ministry of Health and Social Welfare. “Health encourages hope for the creation of a better future,” said Richard Biller, Marathon Oil representative, on the importance of community health projects. Armando Rompao, Ministry of Mines, Industry and Energy representative, expressed his appreciation to Marathon Oil for its continuous support toward the development of Equatorial Guinea. Equatorial Guinea has made vast improvements in the country’s healthcare system. The World Health Organization (WHO) reported last year that Equatorial Guinea and Botswana were leading Africa in per capita investments in health care. Equatorial Guinea has also provided technical assistance to the local United Nations Population Fund (UNFPA) to improve the effectiveness of its assistance program and has implemented a host of health programs geared toward improving the health of Equatorial Guineans. Basic health indicators such as rates of infant and child mortality have been improving steadily in the country, and the government is widely recognized for its efforts to eradicate malaria. President Obiang Nguema Mbasogo has donated USD$1.5 million to the World Health Organization (WHO) to support research for global health. Ventures Africa magazine recently carried a featured story on the captivating natural landscapes of Equatorial Guinea’s Island of Bioko. The article highlighted the island’s white sand beaches, colorful vegetation and precious wood. Equatorial Guinea is a member of the Commission for the Conservation of Forest Ecosystems in Central Africa (COMIFAC). As part of the government’s efforts to preserve the country’s ecosystems and biodiversity, Equatorial Guinea participates in the United Nations Environment Programme (UNEP) and is a signatory of the Convention on Migratory Species of Wild Animals (CMS). 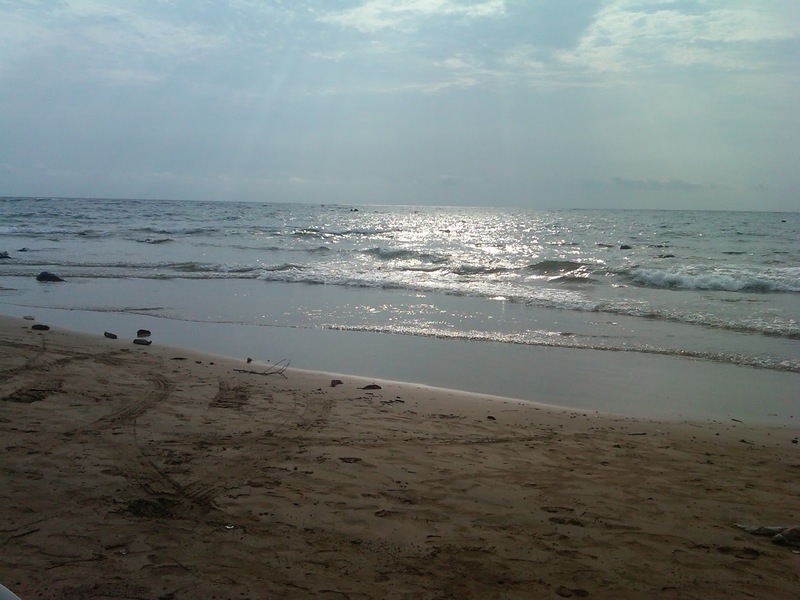 Environmental conservation is part of a larger effort at reform outlined by President Obiang at the 2010 Global Forum in Cape Town, South Africa.